Professor George received her BA from UNC-Chapel Hill in 1975 and her J.D. from Harvard in 1978. She was in private practice with Gibson, Dunn & Crutcher in Los Angeles 1978-83. She has taught at the College of William and Mary (1983-88); the University of Colorado (1988-99); the University of N.C. at Chapel Hill, 1999-present. 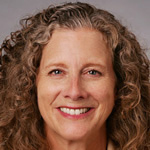 She has also served as the Associate Vice President for Human Relations and Risk Management (University of Colorado, Office of the President, 1996-99) and Interim General Counsel, UNC-CH, 2003-04.